CREJ condominium conference skedded for June 20. Every apartment developer, broker and analysts I have ever spoken to has been dismayed by the lack of for-sale condominium developments in the Denver area in recent years. That may surprise those not in the industry, as the lack of condo construction has removed a competitor for the wave of high-end apartment developments in Denver in recent years. “Has it benefitted apartments that there have been so little affordable condos built in recent years? Sure, it has,” said Terrance Hunt, an apartment broker with ARA, a Newmark company. 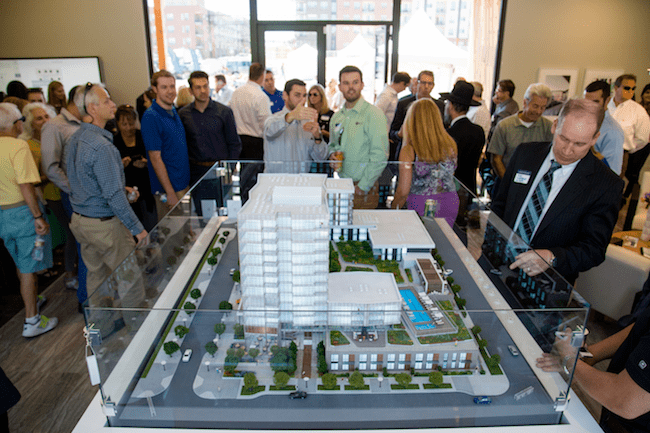 The recent groundbreaking of the Lakehouse condo tower drew a large crowd. The Lakehouse condo development previously was featured in CREJ. Photo credit: Kelly Shroads Photography. “But I think it is always healthy to have options for all types of properties at all price levels,” Hunt said. Hunt will moderate a panel titled, “Developer’s Perspective: Condominium development and condo development” at an upcoming half-day conference. 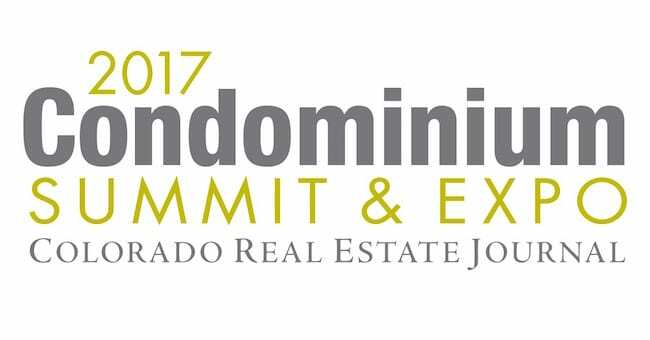 The 2017 Condominium Summit & Expo will be held from 7:30 to 11:45 a.m. June 20. The conference is expected to draw 350 or more and will be largest condominium development conference in the Rocky Mountain region this year. The conference at the Hyatt Regency Aurora is sponsored by the Colorado Real Estate Journal. Because of Colorado’s onerous construction defect laws, condo construction in recent years has been almost at a standstill. “For the past few years, condos have accounted for 2 percent to 4 percent of the building permits issued,” Rinner said. Historically, and in most major markets across the U.S., condos account for 20 percent to 25 percent of the total construction market. Rinner views condo construction as a three-legged stool, with two of the legs recently put into place. The first leg occurred about a month ago, when legislators passed House Bill 1279. The legislation, which will be discussed at the conference, requires the majority of homeowners in a community to agree to sue a developer for construction defects. For the past several years, a homeowner’s association board could make that decision. In some cases, the homeowners may not even have been aware of the HOA’s decision on an adversarial legal action. “That was step one of the three-legged stool,” Rinner said. The second leg of the stool was the Colorado Supreme Court’s recent 5-2 ruling in favor of Metropolitan Homes Inc. The high court ruled that the HOA at the Vallagio at Inverness erred in suing its developer, Metropolitan Homes, and disregarding bylaws requiring arbitration to settle construction defects claims. 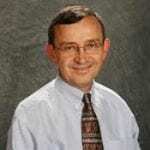 Peter Kudla, the CEO of Metropolitan Homes, is one of the scheduled panel members at the CREJ conference. “I’ve been told that since that ruling three condo projects plan to go forward,” Rinner said. Rinner said that means a friendly, nonadversarial way of resolving disputes between condo owners without involving a lawsuit or even arbitration. “The problem has been that the nature of a lot of these suits has been capricious and arbitrary,” Rinner said. Hunt applauds the recent movement to smooth the way for more condo construction but pointed out that developers must still deal with economic forces. “It’s not like you can wave a magic wand and all of a sudden there are more affordable condos being built,” Hunt said. He noted the Lakehouse condo tower being built by Sloan’s Lake, and condo developments by Union Station and in Cherry Creek North, all cater to high-end buyers. And with land in and around downtown being so expensive, rising labor costs and carrying costs, it is hard to deliver affordable condos, he pointed out. Rinner said as more condos are built, there will be a slowdown in apartment construction. “I say that not because I think that would be good for the market, although it probably would be, but because I think that is the most likely outcome,” Rinner said. 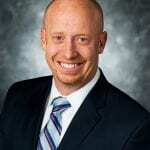 Another panel, Condo Development Finance, will be moderated by Jeffrey S. Meyers of Meyers Research and will include two panel members, Brock Yaffe of HFF Inc. and John Markovich of FirstBank. 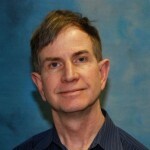 John Wright of Lockton Cos. Inc. will discuss risk management and insurance for Colorado’s condominium projects. Rich Allison GH Phipps Construction Cos. Dawn Raymond, Kentwood Cherry Creek.